MS-Nutrition takes part in various scientific events to present its work and exchange about important topic in the field of food and nutrition. Les rendez-vous CARNOT from the 17th to the 18th of October 2018 in Lyon, France. 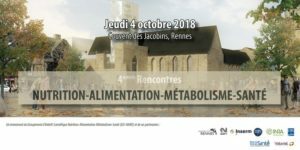 Rencontre Nutrition-Alimentation-Métabolisme-Santé the 4th of October 2018 in Rennes, France. Journées francophones de la nutrition (JFN) from the 13th to the 15th of December 2017 in Nantes, France. Enfants forts consommateurs de sucres libres en France. Quels sont les changements alimentaires nécessaires pour respecter les recommandations nutritionnelles ? Le surcoût associé au respect des nouvelles recommandations nutritionnelles est de 1,5 €/j/pers. Une analyse par modélisation de diètes individuelles prenant en compte les habitudes alimentaires. 21st IUNS-ICN Congress of Nutrition, from the 15th to the 20th of october 2017 in Buenos Aires, Argentina. Journées francophones de la nutrition (JFN) [French Days of Nutrition] from 30 November to 2nd Decembre 2016 in Montpellier. Abstracts available only in French. EOS -European Obesity Summit- 2016 from 1 to 4 June 2016 in Gothenburg, Sweden. EuroFIR Food Forum 2016 from 4 to 8 April 2016 in Brussels. Journées francophones de la nutrition (JFN) [French days of nutrition] from 9 to 11 December 2015 in Marseille. International Food Data Conference (IFDC) 11th edition on the theme « Food composition and Public Health nutrition » from 3 to 5 November 2015 in Hyderabad, India. 2nd International Congress of the Algerian Nutrition Society (SAN) from 13 to 15 Octobre 2015 in Alger, Algeria. Moving toward a mediterranean diet to reach nutritional adequacy does not necessarily increase the exposure to food contaminants: a modeling approach in the French women population. 1Unité Mixte de Recherche (UMR) “Nutrition, Obesity and Risk of Thrombosis,” Institut National de la Recherche Agronomique 1260 INRA, Institut National de la Santé et de la Recherche Médicale 1062 INSERM, Aix- Marseille Université, F-13385, Marseille, France. Introduction: Existing dietary guidelines do not explicitly or quantitatively take into account food safety considerations. Objectives: The aim of the present study was to assess whether a nutritionally adequate diet would be compatible with food safety recommendations. Material and methods: By crossing dietary data from the French national survey (INCA2) and toxicological data from the total diet study (EAT2), we estimated for women the mean intakes of 205 representative food items and mean exposures to 45 contaminants including pesticides, heavy metals, mycotoxins, non-dioxin like PCBs and dioxin-like compounds (DLCs). Non-linear optimization was used to design two modeled diets as close as possible to the observed diet and respecting i) the French Recommended Dietary Allowances (FRDA)(NUT model) or ii) the FRDA and the Toxicity Reference Values (TRV) while not exceeding the observed exposures (NUTOX model). Results: In the NUT model, the main dietary changes were increases of fruits and vegetables (F&V) (+100%), unrefined starches (+100%) and fish (+66%) quantities and decreases of meat and sweetened products. Exposures exceeding the observed levels, while remaining below the TRV, were noticed for non-dioxin like PCBs and DLCs, cadmium, and few pesticides. F&V, unrefined starches and fish still increased in the NUTOX model although in slightly lower amounts than in the NUT model for F&V. Conclusion: Our results show that improving nutritional quality tend to fit with the Mediterranean diet and might increase the exposure to toxicants. However, making specific choices within food-groups would allow reaching nutritional adequacy without increasing the contaminant content of the diet. Importance of infant milks to meet nutritional recommendations: illustration with individual diet modeling on UK children aged 12 to 18 months. Original title in French: Importance des laits infantiles pour atteindre les recommandations nutritionnelles: illustration par modélisation des diètes individuelles d’enfants britanniques âgés de 12 à 18 mois. 2Department for International Health, University of Tampere Medical School, Tampere FIN-33014. Finland Department of Nutrition, Exercise and Sports, Faculty of Science, University of Copenhagen, Rolighedsvej 30, DK-1958 Frederiksberg, Denmark. 3INSERM- U 1069, Univ. F. Rabelais, Tours, F-37000, France. 4Danone Nutricia Research, Centre Daniel Carasso, RD128, 91767 Palaiseau, France. 5Danone Nutricia Research, Centre Daniel Carasso, RD128, 91767 Palaiseau, France. (1) Rozenn Gazan; (2) Tangui Barré; (2) Marlène Perignon; (3) Matthieu Maillot; (4) LouisGeorges Soler; (5) Nicole Darmon; (6) Florent Vieux. (1) Epidemiology researcher. French Agency for Food, Environmental and Occupational Health Safety (ANSES). Observatory of Food Consumption Unit. Risk Assessment Department. France; (2) Public Health scientist. UMR NORT, INRA/INSERM/ AMU. Marseille. France; (3) CEO statistician. MS-Nutrition. Marseille. France. ; (4) Economist. ALISS, INRA. Ivry. France; (5) Research director. AgroParisTech – Human Nutrition and Eating Behavior. Paris. France. ; (6) Public health Nutritionist. MS-Nutrition. Marseille. France. (1) Florent Vieux; (2) Matthieu Maillot; (3) André Briend; (4) Régis Hankard; (5) Chloé Brouzes; (6) Anne Lluch; (7) Nicole Darmon. (1) Public health Nutritionist. MS-Nutrition. Marseille. France; (2) CEO statistician. MS-Nutrition. Marseille. France. ; (3) Pediatric nutritionist. Department for International Health. Tampere. Finland; (4) Pediatrist. INSERM. Tours. France; (5) Agronomist. Danone Nutricia Research. Palaiseau. France; (6) Senior Nutrition Scientist. Danone Nutricia Research. Palaiseau. France; (7) Research director. AgroParisTech – Human Nutrition and Eating Behavior. Paris. France. (1) Anne Lluch; (2) Matthieu Maillot; (3) Florent Vieux; (4) Fabien Delaere; (5) Sarah Daphné Vaudaine; (6) Nicole Darmon. (1) Matthieu Maillot; (2) Florent Vieux; (3) Fabien Delaere; (4) Anne Lluch; (5) Nicole Darmon. (1) CEO statistician. MS-Nutrition. Marseille. France. ; (2) Sustainable diet. MS-Nutrition compagny. Marseille. France; (3) Public health nutrition. Danone Nutritia research. Palaiseau. France; (4) Nutrition Scientist. Danone Nutricia Research. Palaiseau. France; (5) Research director. AgroParisTech – Human Nutrition and Eating Behavior. Paris. France. Is it possible to reach nutritional adequacy without increasing the exposure to food contaminants? (1) Tangui Barré; (2) Florent Vieux; (3) Marlène Perignon; (4) Jean-Pierre Cravedi; (3) Marie Josephe Amiot Carlin; (5) Nicole Darmon. (1) PhD student in nutrition. Nutrition, Obesity and Risk of Thrombosis (INSERM/INRA). Marseille. France; (2) Researcher. MS-Nutrition. Marseille. France; (3) Researcher. Nutrition, Obesity and Thrombotic Risk (INSERM/INRA). Marseille. France; (4) Researcher. Toxalim (INRA). Toulouse. France; (5) Research director. AgroParisTech – Human Nutrition and Eating Behavior. Paris. France. (1) Nicole Darmon; (2) Christophe Dubois; (3) Hind Gaigi; (4) Marlène Perignon; (5) Laurent Muller; (6) Bernard Ruffieux; (7) Matthieu Maillot. (1) Research director. AgroParisTech – Human Nutrition and Eating Behavior. Paris. France. ; (2) Nutritionnist. NORT MRU. Marseille. France; (3) Public health. NORT MRU. Marseille. France; (4) Nutritionnist. Aix-Marseille-Université. Marseille. France; (5) Economist. INRA, GAEL MRU. Grenoble. France; (6) Economist. INP, GAEL. Grenoble. France; (7) CEO statistician. MS-Nutrition. Marseille. France. (1) Axel Gamburzew; (2) Sandrine Raffin; (3) Nicolas Darcel; (4) Daniel Tomé; (5) Matthieu Maillot; (6) Christophe Dubois; (7) Manon Colard; (4) Nicole Darmon. (1) PhD student. AgroParisTech and LinkUp Agency. Paris. France. ; (2) CEO. LinkUp Agency. Paris. France. ; (3) Assistant professor. AgroParisTech – Human Nutrition and Eating Behavior. Paris. France. ; (4) Research director. AgroParisTech – Human Nutrition and Eating Behavior. Paris. France.  ; (5) CEO statistician. MS-Nutrition. Marseille. France. ; (6) Nutritionist. Aix-Marseille Université – Nutrition Obesity and Thrombotic Risk . Marseille. France. ; (7) Sociologist. Aix-Marseille Université – Nutrition Obesity and Thrombotic Risk. Marseille. France. Journées francophones de la nutrition (JFN) 13th – 15th of december 2017 in Nantes, France. 21st IUNS-ICN Congress of Nutrition, 15th – 20th of October 2017 in Buenos Aires, Argentina. COST Action FoodMC – Workshop from 22nd to 23th of March 2017 in Lisbon, Portugal. Journées francophones de la nutrition (JFN) 30th of november – 2nd of december 2016 in Montpellier. EOS -European Obesity Summit 1st – 4th june 2016 in Gothenburg, Sweden. EuroFIR Food Forum 2016 4th of April – 8th of April 2016 in Brussells. Journées francophones de la nutrition (JFN) 9th of decembre – 11th of december 2015 in Marseille. 11th International Food Data Conference (IFDC) « Food Composition Data and Public Health Nutrition » 3rd of November – 5th of November 2015 in Hyderabad, India. 2ème Congrès International de la Société Algérienne de Nutrition (SAN) 13th of October – 15th of October 2015 in Alger, Algeria. 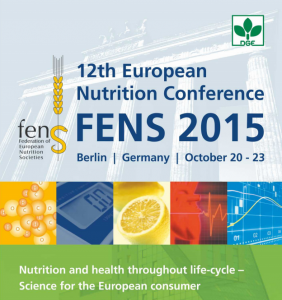 12th European Nutrition Conference FENS 20th of october to 23th October 2015 in Berlin, Germany.